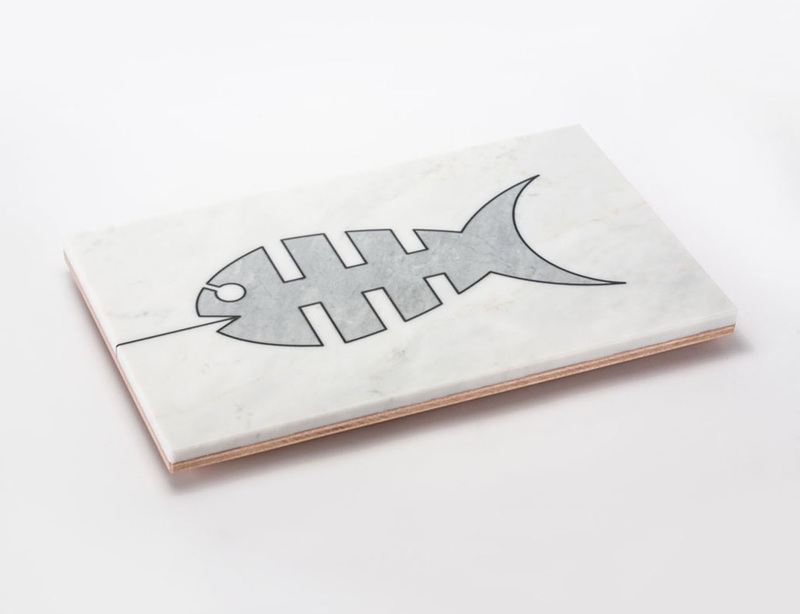 Fish & Chop is a practical cutting board for bread and cold cuts to use in the kitchen, but also an elegant platter to serve appetizers and hors d'oeuvres. 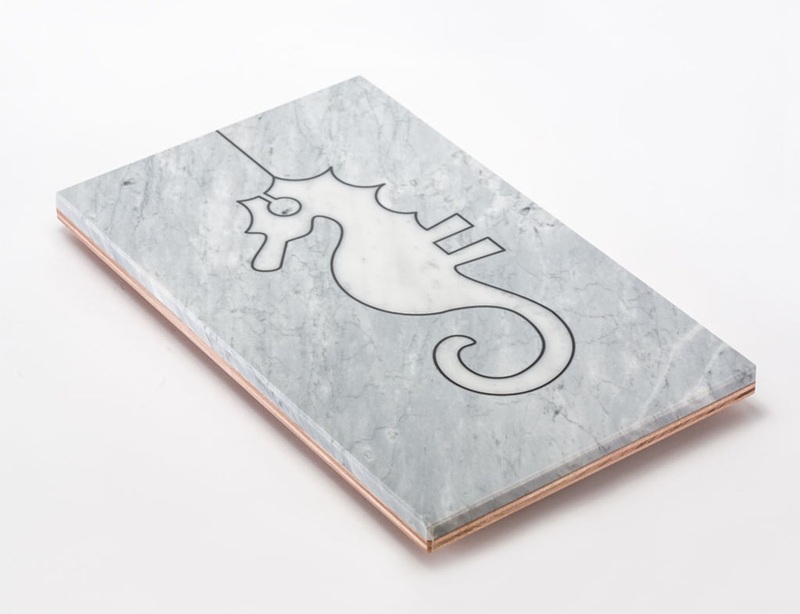 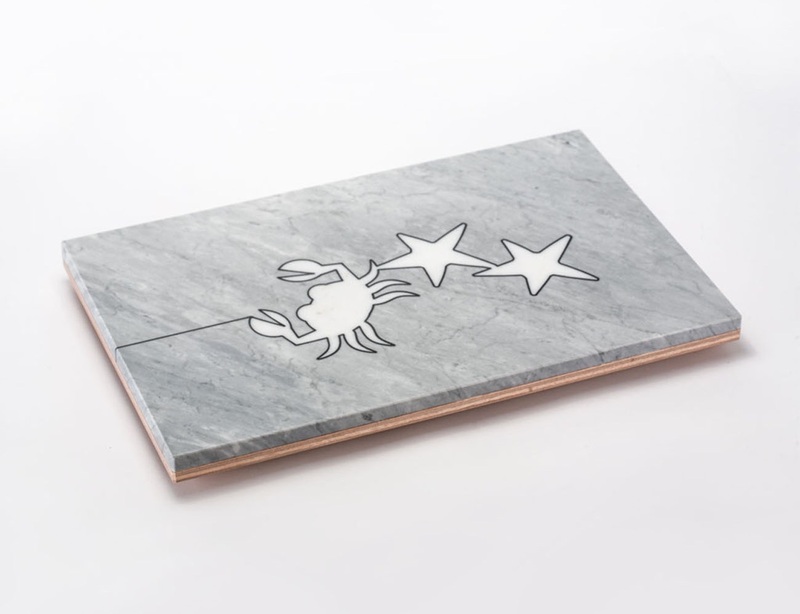 Fish & Chop has an inspired and original design, which expresses, through the pureness and the evocation of its forms, the desire for balance between the elegance of Carrara marble marquetry and the warmth of solid marine plywood. 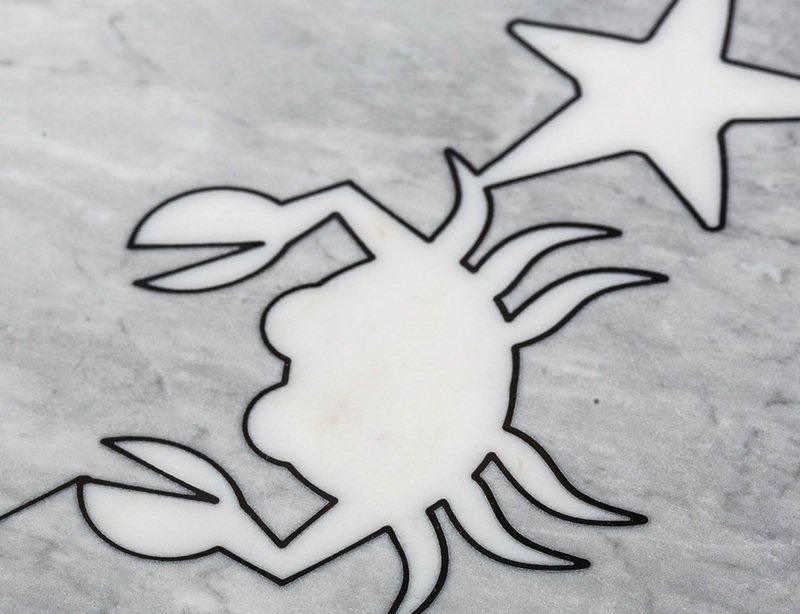 Fish & Chop is produced by the knowledge and the passion of experienced Tuscan artisans.